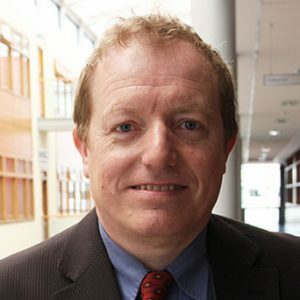 Dr. Pat Brereton has been Associate Dean for Research in the Faculty of Humanities and Social Science at Dublin City University for the last five years. His books include Hollywood Utopia: Ecology in Contemporary American Cinema (2005); Continuum Guide to Media Education (2001), Historical Dictionary of Irish Cinema (2007) with Roddy Flynn and Smart Cinema, DVD Add-ons and New Audience Pleasures (2012). He has several other book chapters and publications across a wide range of journals on various aspects of film and media culture and remains committed to developing cross disciplinary links. Dr Brereton’s research adopts a broad interdisciplinary approach to textual analysis, together with a growing involvement with reception study, as evidence of the symbiotic relationship between media texts and audiences. As exemplified in his ‘Hollywood Utopia’ and ‘Smart Cinema’ books, Dr Brereton remains preoccupied with supporting a broad approach to research, which can draw on a Humanities tradition, while also reaching out to other scientific areas and methods of research. His PhD. research involved extensive analysis of the work of Communications and Film experts alongside adapting other disciplines including Geography, Philosophy, Politics as well as Ecology. Such extensive reading and analysis has afforded Dr Brereton an appetite for developing interdisciplinary models of teaching and research. Cultural representations of Northern Ireland, especially film and documentaries, have remained a major research interest of Dr Brereton, since before he did his Masters dissertation on the fictional-documentary work of John T Davies, who is based in Northern Ireland. The so-called Troubles have become effectively mediated through film and documentary over the last few decades and Dr Brereton has written about many of these texts in a number of books and journal articles. Irish audio-visual narratives explore how politics and cultural conflicts speak to a wide range of complex societal issues. The power of documentary, narrative and fiction generally to represent conflict resolution has an extensive scholarly literature and Ireland certainly has added greatly to such academic discourses. Film studies in particular has put great store on exploring ideologies of conflict and much can be made around the large corpus of ‘Troubles’ narratives, as documented in our detailed Historical Dictionary of Irish Cinema (Flynn and Brereton).